Born from the hand-scribbled trail maps and wilderness passion of its members, Washington's nearly 100-year-old Mountaineers Club established the nonprofit Mountaineers Books in 1960 to express and share its love of the natural outdoors. It's still the handy pocket guide offered at a bargain price. And it is still loaded with the vital information you need to survive in the mountains: how to determine potential avalanche hazard, traveling safely in avalanche terrain, what to do if you're caught in an avalanche, and search and rescue techniques. 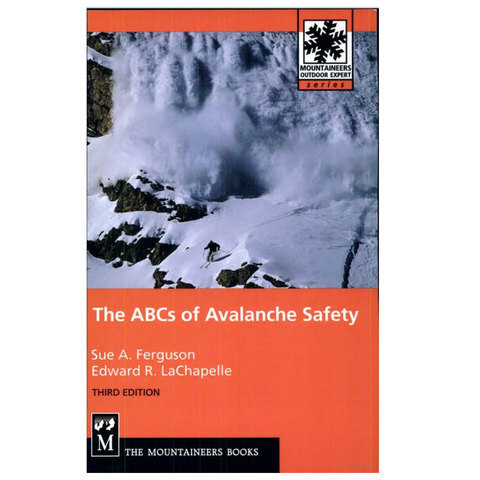 A respected authority since 1961, this enduring classic has been updated with the very latest research in the field, including avalanche transceiver technology. Sue Ferguson directed the Utah Avalanche Center. She founded the Avalanche Review and co-founded the American Avalanche Association. E.R. LaChapelle was director of the U.S. Forest Service Avalanche Center in Alta, Utah.